At the foot of Persepolis, busloads of foreign tourists gaze in awe at the ancient mud-brick ceremonial capital that Iran hopes will be part of a rebirth of its tourism industry. Sincere as such testimony is, a rise in visitors has more to do with politics than praise. The prospects for tour operators were bleak until recently. The election last year of President Hassan Rouhani and his decision to restart negotiations with the United States and other leading nations about Iran’s nuclear programme has been a catalyst. Shiite pilgrims from Iraq, Kuwait, Lebanon and Pakistan currently make up 60 percent of Iran’s visitors. But the government’s main push is to recapture the spending power of Europe, Asia and America. For Iran — whose currency, the rial, has been severely depressed by rampant inflation — tourism offers a foreign exchange windfall. The cities of Isfahan, Shiraz and Yazd, all steeped in culture, are considered Iran’s top attractions, but sites such as Kish Island with its beaches on the Gulf have sought to create a more relaxed holiday. People are coming back. Official figures show that at the end of March, tourist numbers were up 35 percent year-on-year to 4.5 million, bringing in $6 billion. However, a nuclear deal remains a hope rather than a given and tour operators know optimism can vanish quickly. For the moment, local guides are filling their pockets. “This is a new wave. We have between 300 percent and 400 percent more visitors,” says Mohsen Hajisaeid, who was looking after a group from Hong Kong. “For some languages we don’t even have a guide to help them,” he explains. Iran’s shortfalls are not confined to translators. 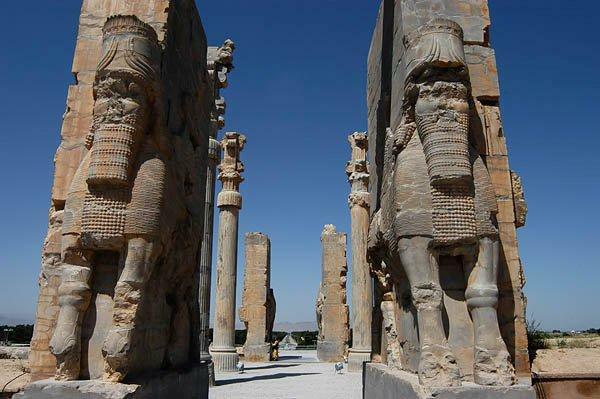 Although many hotels have been built in the sprawling conurbations of Mashhad, Esfahan and Shiraz, the closest city to Persepolis, they are primarily for the domestic market. In the tourism sector there is a specific need for customer-focused training and more development. “Our capabilities are limited compared to the influx of tourists,” Massoud Soltani-Far, one of Iran’s vice presidents whose brief includes tourism, recently said at an industry conference. More than 900 projects are being undertaken at a cost of $200 million, but there are still significant gaps in the market. “Transport and four-star or five-star hotels are not there to meet the demand,” Soltani-Far explained, perhaps alluding to well-publicised problems with the fitting-out of Iranian planes, due to sanctions. But there are bright spots at the top of the market. The “Jewels of Persia,” a luxury train, arrived in Tehran on October 27 on an all-inclusive 15-day trip, with tickets costing $9,000 to $14,000. Such trips may start to breed unease, however. Some conservative MPs are demanding tourists be given guidance on how to behave as soon as they arrive in the Islamic republic. It is a sensitive issue visitors must embrace; the dress code for women is loose clothing, known as hijab, that covers the head and neck. Men should avoid shorts. A recent spate of acid attacks on Iranian women in Isfahan, reportedly because they were not properly veiled — though authorities have denied such a link — has highlighted the requirements. To those travelling to Iran though, the warm welcome is outweighing concerns about dress, security or the need for high-class hotels and slick service. “The country is safe — maybe more so than some European countries,” says Thomas from Germany.